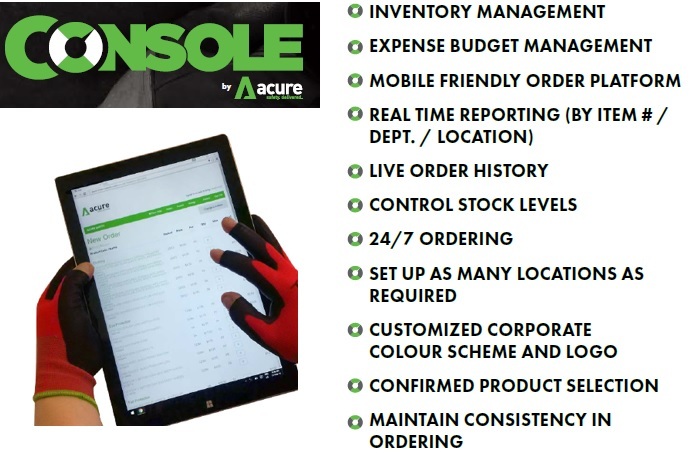 Acure Safety’s Order Console allows different users in a company to order products for their location online 24/7 while management can track and monitor purchases. Contact us for more informatin. End of year inventory clean-up is a great time to donate unneeded items to Habitat for Humanity. This non-profit organization improves lives by building modest, affordable homes. We are glad to do our part to help. How about you? It’s inevitable! Winter is coming! 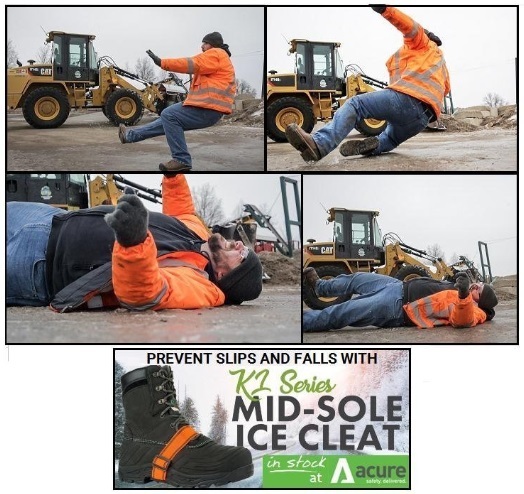 Be prepared for winter with K1 Mid-Sole Ice Cleats – a convenient solution for adding traction in icy and snowy work conditions and preventing slips and falls on the job. 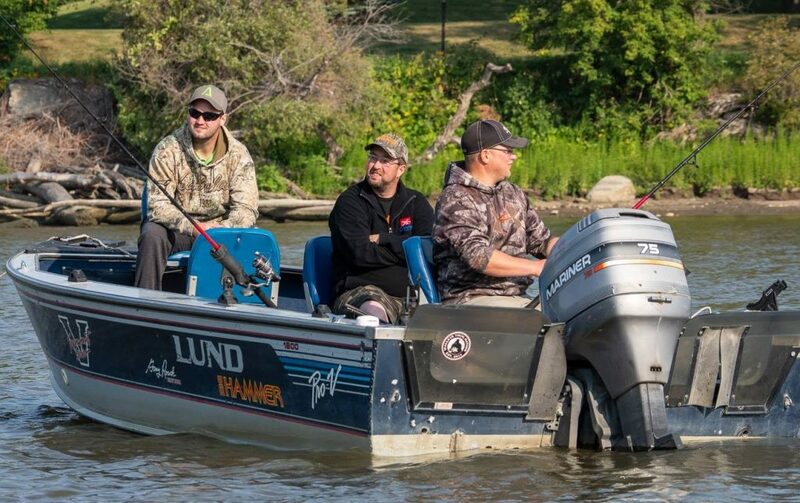 Some of our staff represented Acure Safety at the Cat Fishing for Kids event in August in Selkirk, Manitoba. Congratulations to the organizers for planning this great event for a great cause. Congrats Ritchie for catching the 2nd largest catfish of the day. By the way, nice cap. DID YOU KNOW? Hand Injuries are the 2nd highest recorded workplace injury after back injuries in Western Canada. Want to change this statistic and the costs that associate with these? It all starts with wearing the correct and appropriate hand protection. Acure Safety makes it easy to find the correct Hand Protection for every task in any environment. Contact us today: sales@acuresafety.com WHY TAKE A CHANCE ON SAFETY? Make sure you are doing something to help change this and the effects these injuries have on personal life after work hours. 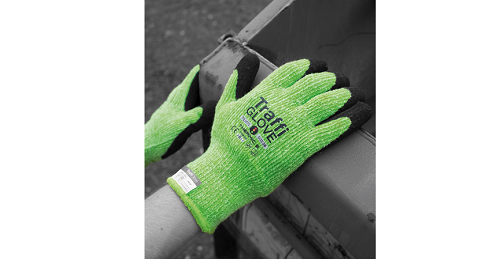 Any company or organization that has a minimum cut level 5 standard for hand protection needs to try these gloves! Currently stocked in our Calgary and Winnipeg branches for fast same day delivery! What makes them unique? – Winter Lined and Cut Level 5 all in 1 Glove! – The liner is woven into the glove shell itself, NOT a separate sewn in liner. Therefore it won’t pull out when the wearers hand gets sweaty after working. 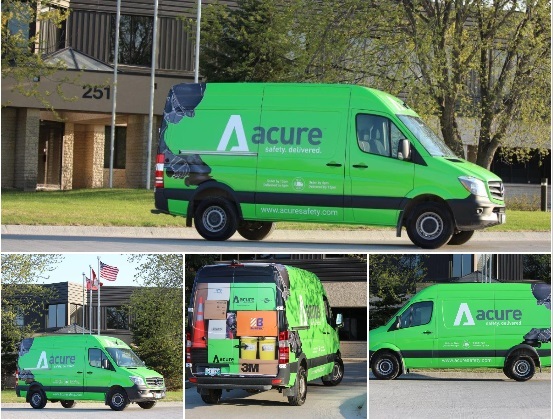 – Bright green color for high visibility Reach out to us today for a free trial! 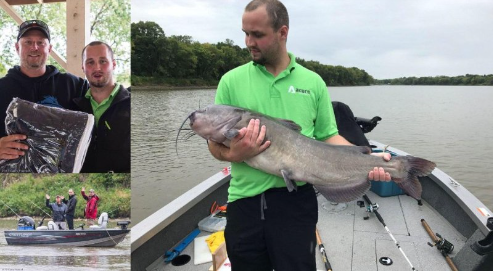 Some of our warehouse staff spent Monday August 21st out fishing, proudly representing Acure Safety, sponsor at the 4th annual Catfishing for Kids event in Selkirk. MB which supports KidFish, a non-profit organization raising money for pediatric cancer patients and their families. Plus, our very own Ritchie McDonald won the King Fish contest for the biggest catch of the day. Nice one Ritchie. Great to get feedback like this from our customers! Yesterday we received a call from a customer in Edmonton at 4:45pm that needed his gloves to be sent out right away for next day delivery. Our team made this happen. Going to the Global Petroleum Show this year? Make sure you stop by and see us at Booth # 4408. We will be displaying our latest range of gloves for the Oil & Gas industry with unique oil resistance and impact technologies! Reach out to us for a free pass to the show.